Those of you who follow me on Facebook, know that I was discussing in a post the other week what to write about in an article with a holiday theme. Generally, I am not very fond of lists. To me, they are quite boring most of the time. 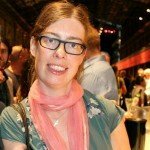 Thanks to the suggestions from my wine friends on Facebook, I decided to start to write about five wines tasted in amazingly beautiful or fabulous settings. Instead of making it a numbered list, I will divide the experiences into the five wines chosen. 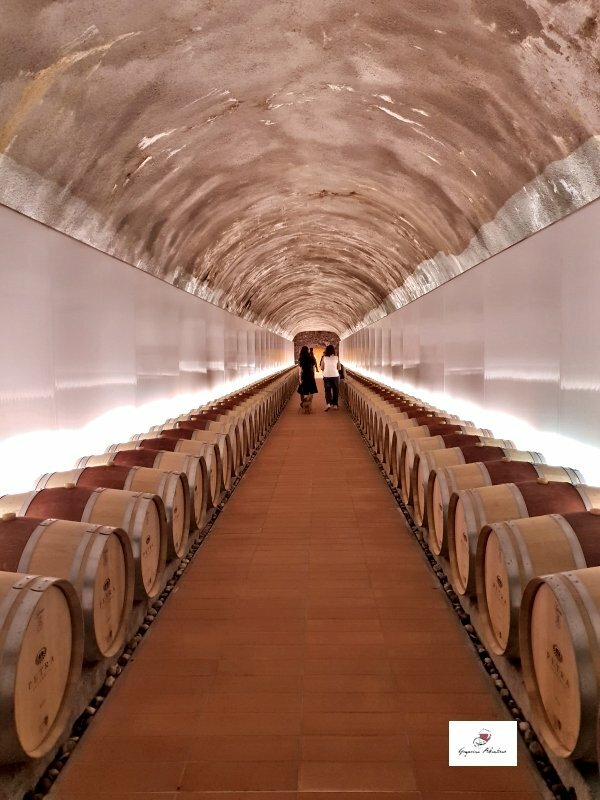 The wines have been chosen not only for their quality and my opinion of them but often just as much according to the environment in which I tasted them. The entire wine experience counts here. 🙂 This way, I get to show you photos of beautiful vineyards, landscapes, fantastic restaurants, and similar. Puglia is a region that during 2018 became very important and dear to me and almost my home away from home. I realize I went to Puglia six! times during the last year. I do not know what I have done to deserve all their kindness and hospitality but I am very happy to all my friends in Puglia. During the last year, I have been very lucky and fortunate to have attended several wine tastings and events in just stunning places. Therefore, it was not easy to make a choice of five wines and locations here. However, I finally settled on five choices that I think you might enjoy reading about. 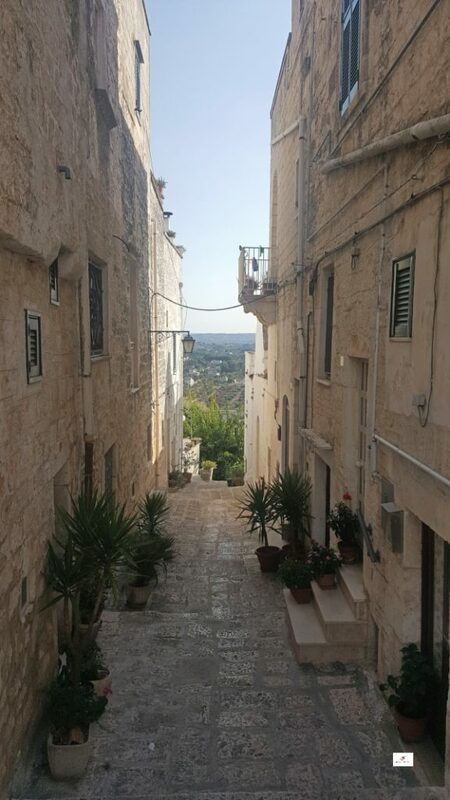 In August, I was in Puglia travelling around to visit both friends and to attend a couple of wine events. One of these events took place on August 8th in Cisternino in Puglia. 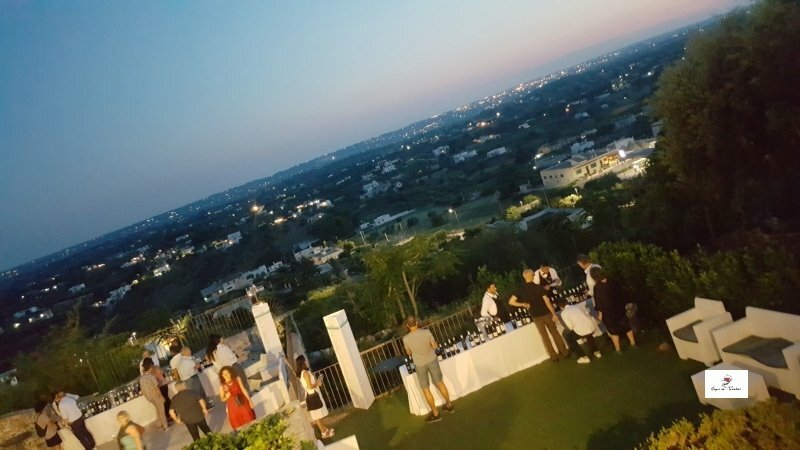 It was organized by Nicola Campanile and Radici del Sud as a way of bringing a mini-Radici del Sud on tour and showcasing Southern Italian wineries. 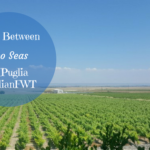 The theme was 100 white wines from both inland and seaside in Puglia, Basilicata, Calabria, Campania, and Sicily. 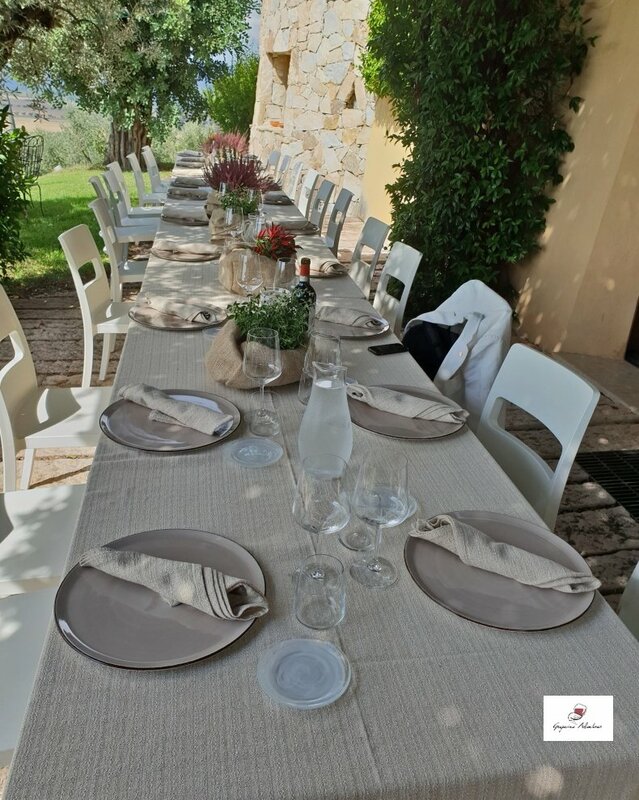 The location was the terrace of the restaurant Oltremura in Cisternino which is a picturesque little town not far from Ostuni in Puglia. 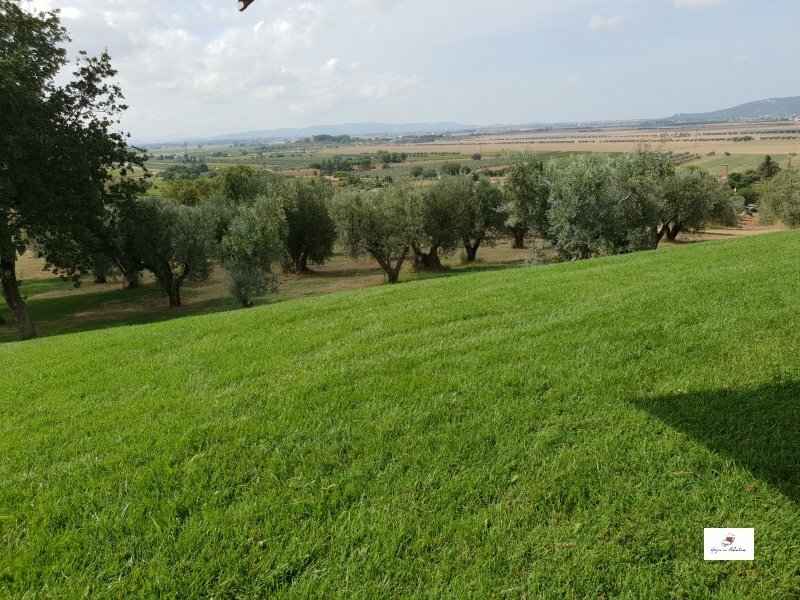 From the terrace, you have a stunning view of the Valle d’Itria landscape below. At sunset, it was very suggestive to walk around sipping on great white wines from the south while looking out over the valley below. Let me tell you, that all the wines tasted awesome with such a view and in a cool place as Oltremura. 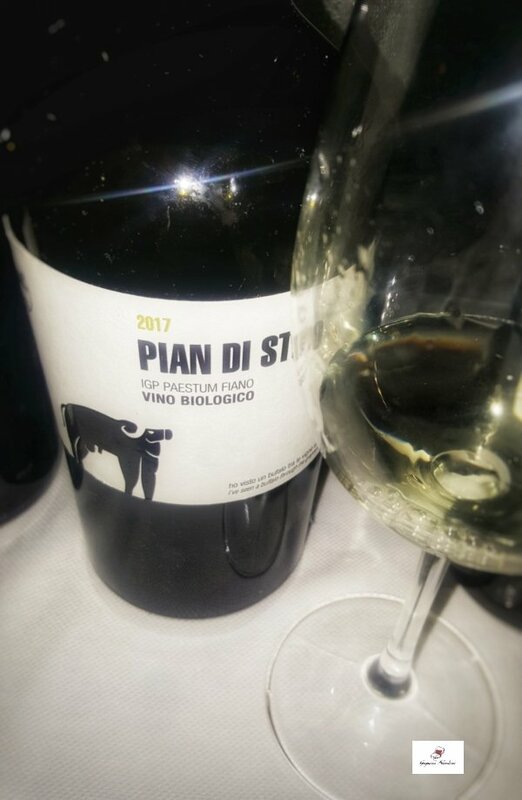 One of my favourites was the Pian di Stio Fiano 2017 from Azienda Agricola San Salvatore close to Salerno in Campania. 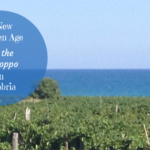 It is a 100% Fiano wine that is fresh and mineral with notes of fruit, such as figs, as well as more green and balsamic notes. A wine that transmitted a feeling of sea breeze and trendy summer vibes as the evening moved forward. 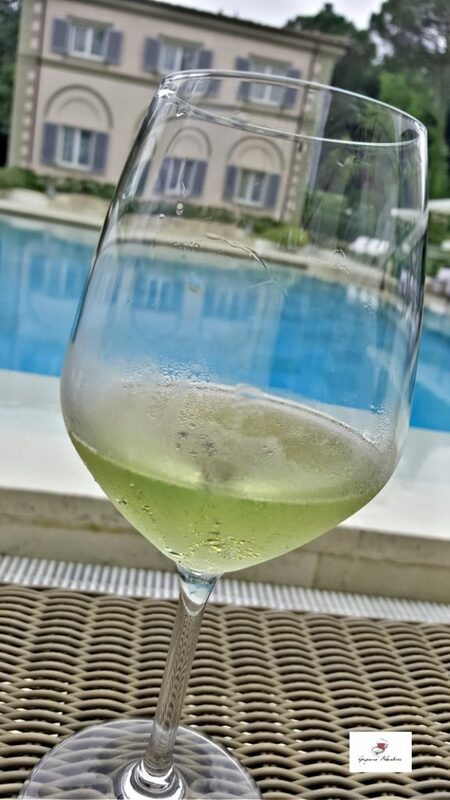 It is always wonderful to receive an email with an invitation to a wine tasting and lunch at Villa Cora in Florence, Tuscany. When the wine in question is Champagne it is even better. 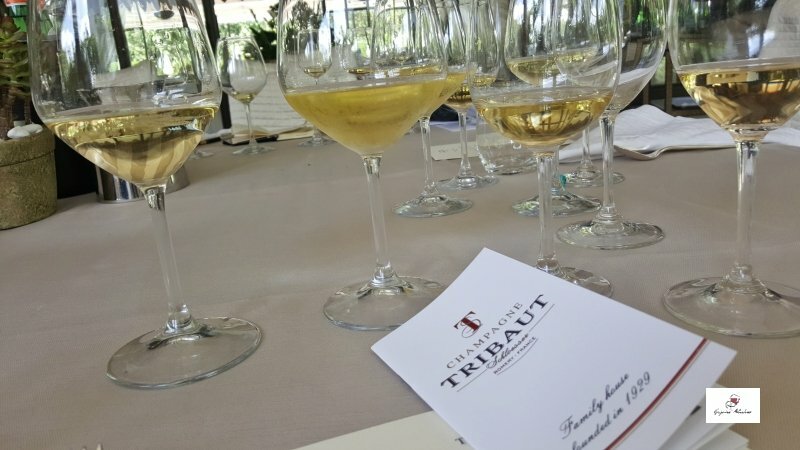 In May, it was time to learn more about Tribaut-Schloesser Champagne from Valentin Tribaut-Schloesser who was in Florence for the occasion. Tribaut-Schloesser is a winery that dates to the early 20th century. René Schloesser, the great-grandfather of Valentin and his brother Sébastien actually came from Luxembourg in the inter-war period. He married a French vine growing woman in Romery, Lucie Coutelas. They decided to set up a winery, a so-called, maison. Further on, in the 1950s, Lucie’s and Rene’s daughter Suzanne would marry Jean Tribaut, another local winery owner, and in that way the fusion into Maison Tribaut-Schloesser was complete. Today, it is Jean-Marie and his sons Valentin and Sébastien who runs the winery. They are exporting their Champagne to about 25 different countries. 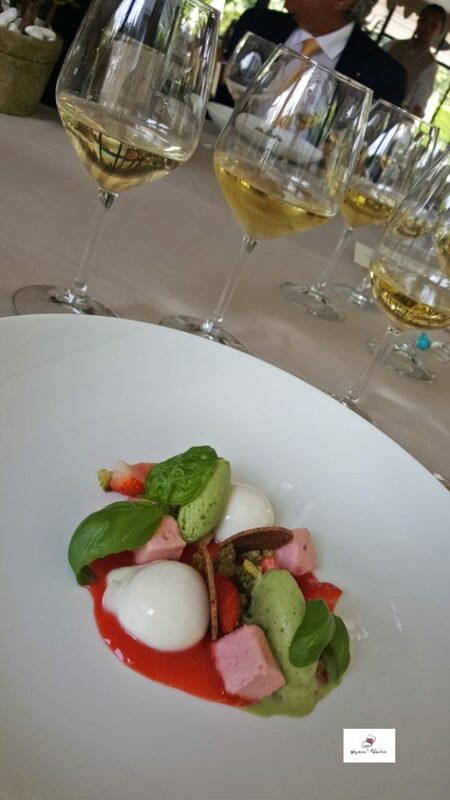 Alessandro, the chef at Villa Cora, had as usual prepared some very yummy things starting with an insalata di seppia, continuing with a risotto di bottarga e limone, and finishing with the inventive dessert of zuppetta di fragole, gelato al basilico and marshmallow alla fragola. One of my favourite wines from Tribaut-Schloesser is their L’Authentique that is a blend of 60% Pinot Noir and 40% Chardonnay from three different vineyards in areas with different types of terroir. It matures in oak barrels for two years and this vintage, 2009, rested on the lees for five years before the disgorgement. L’Authentique gave a nice sense of luxury and pre-summer sparkling freshness. 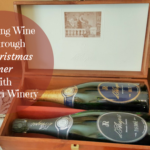 It is a mineral and a bit caramelized Champagne with notes of dry fruit, crayon or a bit chalky undertone, a green touch, sweet and honey-like. 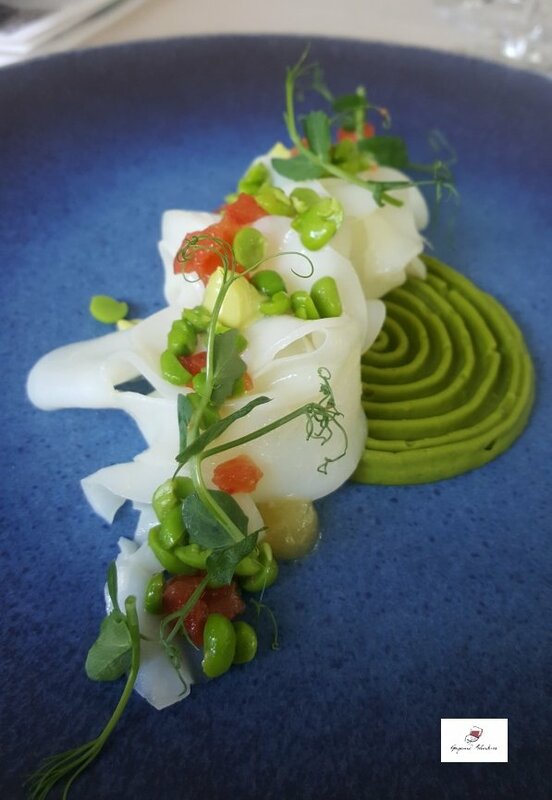 Perfect for a summer lunch. 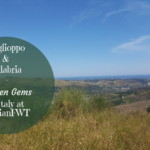 On a sunny September day during harvest time, I took the train towards Val di Cornia close to the Tuscan coast to sip on wine with a sea view. Petra winery just celebrated 20 years as a winery last year and had invited for a tour of the estate. It is a winery owned by Francesca and her father Vittorio Moretti. They are a well-known industrial family that has expanded into wine production in Franciacorta and in Tuscany. Francesca Moretti is running and putting her personal touch to Petra winery ever since the beginning in 1997. They have branded it as a winery with a feminine identity as a way of building on the past of the estate. Elisa Baciocchi Bonaparte, the sister of Napoleon Bonaparte, who was Princess of the Principality of Piombino in the early 19th century, resided at this estate in that period. Elisa Baciocchi Bonaparte planted the Princess vineyard with French grapes such as Cabernet Sauvignon and Merlot to make wines in Bordeaux style. Today, they are continuing on this line producing wines in French style with a more feminine personality and touch. 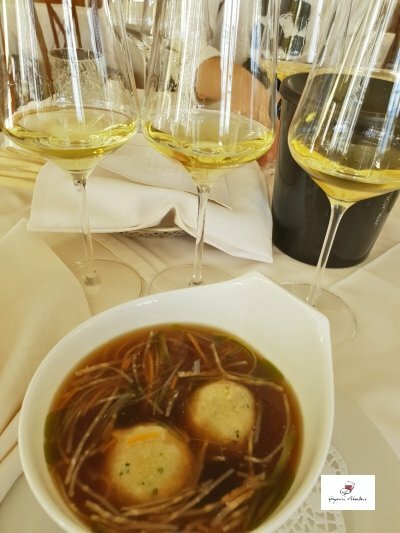 After a tour of the beautiful winery building that has been designed by the Italian architect Mario Botta, we had lunch together with Francesca Moretti herself with a view of the surrounding Tuscan landscape. 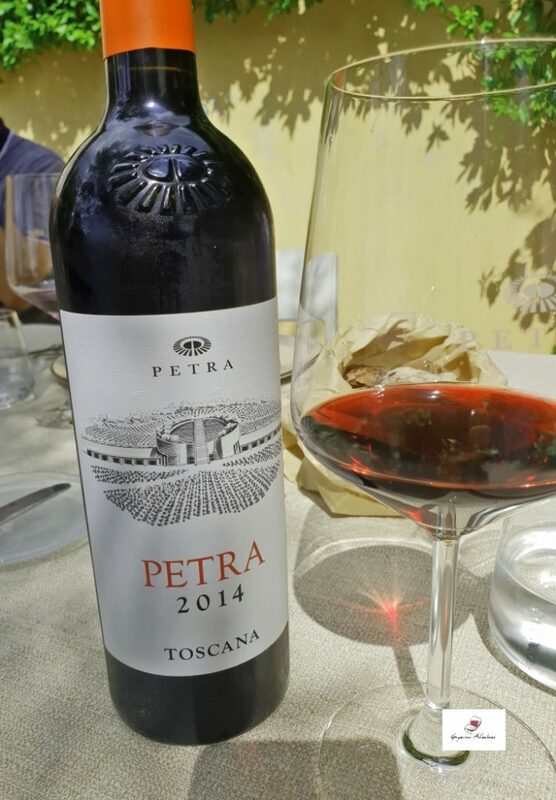 We could see the vineyards below and the sea in the far background while sipping on, for example, their Petra 2014. The wine Petra is a blend of 70% Cabernet Sauvignon and 30% Merlot. 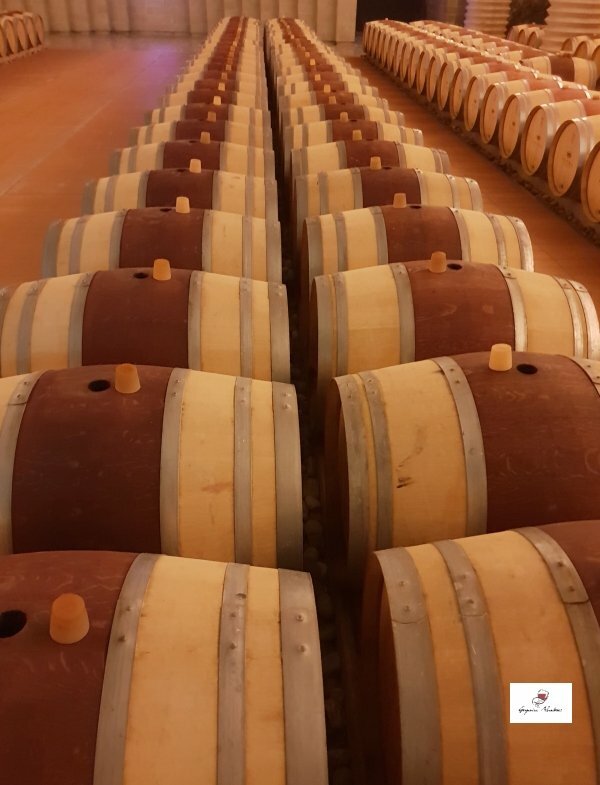 A part of the maturation of the juice is done in oak tanks and it is then aged in barriques for 1.5 years. It is a full-bodied and smooth red wine with notes of dark fruit, spices, and a touch of green with scrub herbs and under vegetation. However, I also really liked their newer line Belvento with white, rosé, and red wines that have a more millennial and fresh style. Here, I especially liked the rosé wine Velarosa that is made with Gamay grapes cultivated at the estate. A fresh and summery wine with both floral and fruity notes. 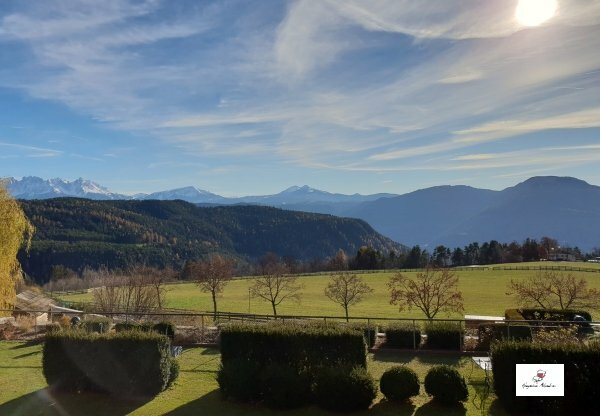 On a sunny day at the end of November, I went to Alto Adige with a group of wine friends to visit Cantina Tramin. 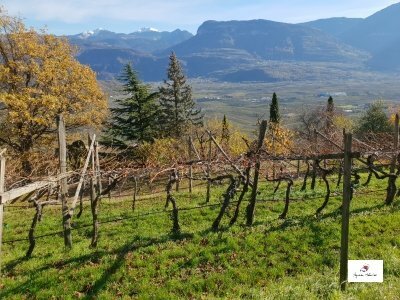 After two days at Wine2Wine in Verona, it was nice to get out in the field, so to say, and learn more about winemaking in Alto Adige. Thanks to Studio Cru, I, Mike Madaio, and Sue Tolson got in the car with our private guide Irene Graziotto and headed towards Tramin. 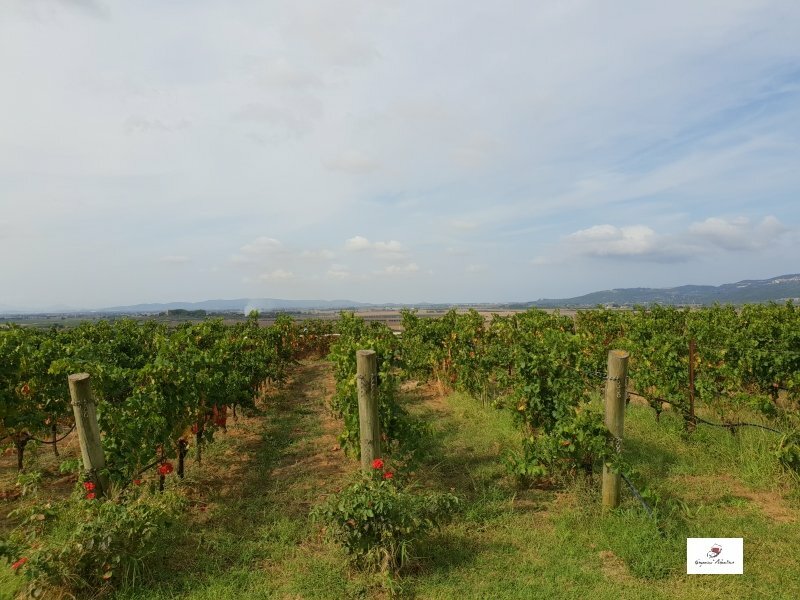 This turned out to be an amazing day where we together with Wolfgang Klotz, their marketing and sales director, got to see the vineyards of some of the more than 100 small vine growers that are part of the cooperative. 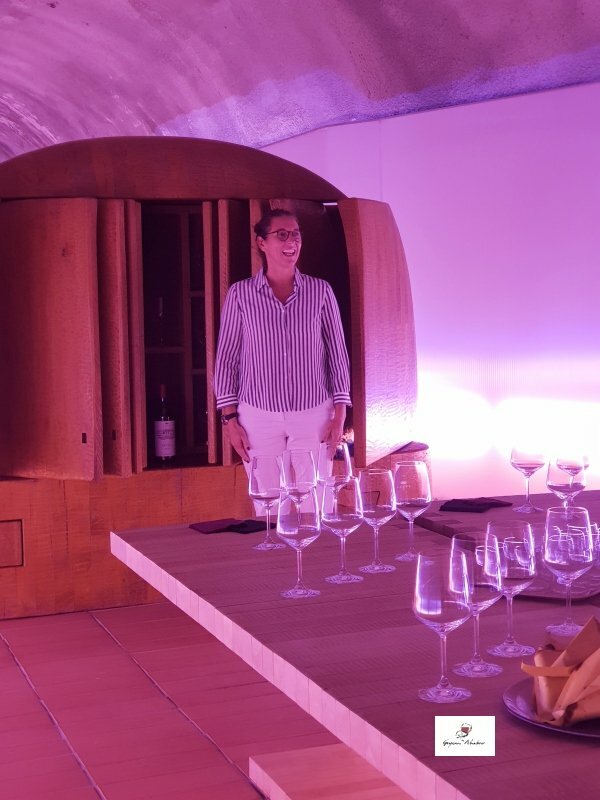 We were then joined by their brand ambassador Sigrid Pichler who took us down to Bolzano to from there hop on a cable car up to Parkhotel Holzner. The ride in the cable car up was fun and offered a fantastic view of the mountain landscape. At Parkhotel Holzner we met up with their oenologist Willi Sturz who would then guide us through the tasting of their Gewurztraminer wines. I am now really a fan of their Nussbaumer wines even though I here will talk about their Epokale 2011. 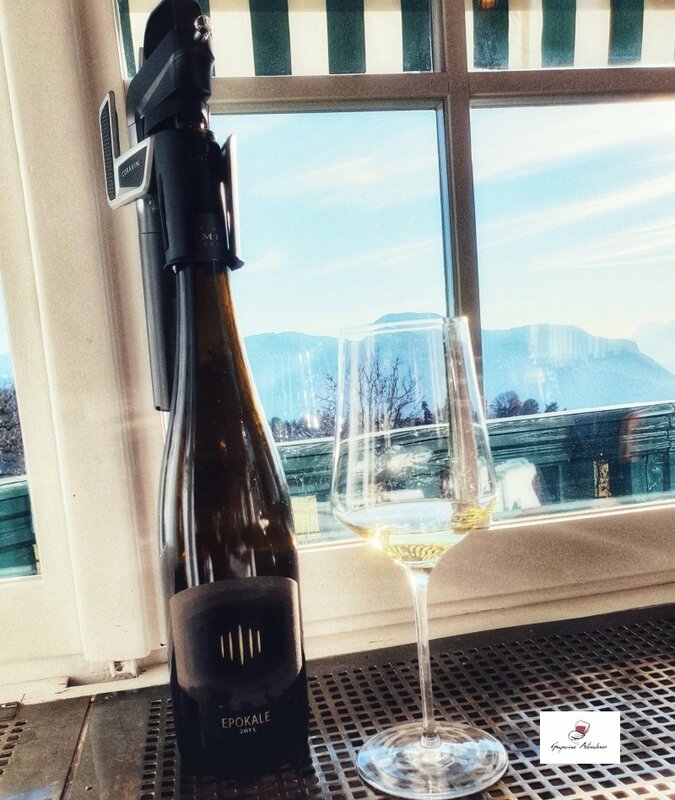 Epokale is a special wine that was ideated and created by Willi Sturz. It is a wine made with Gewurztraminer grapes from the two oldest vineyards close to the Maso Nussbaumer. 2009 is the first vintage of Epokale and the particular thing with this wine is that it matures in the Monteneve mine in Val Ridanna which is on an altitude of 2000 m.a.s.l. The old storage space is located 4 kilometres into the mine and 450 metres deep under the mountain. The benefits are that there is a constant humidity, no light, no noise and a reign of calm. And, did you know that you can only enter to retrieve the bottles in spring when the snow melts away? We tasted Epokale 2011 that has matured for six years in the Monteneve mine. A smooth and velvety white wine with a feeling of wet stone, notes of exotic and ripe fruit such as mango and lychee, followed by clove, cinnamon and other spices. Also, it has good minerality. Epokale is furthermore considered a Spätelese wine due to its high residual sugar level. Epokale 2009 got a 100 points by Robert Parker Wine Advocate in 2018 and that vintage is since then completely sold out. 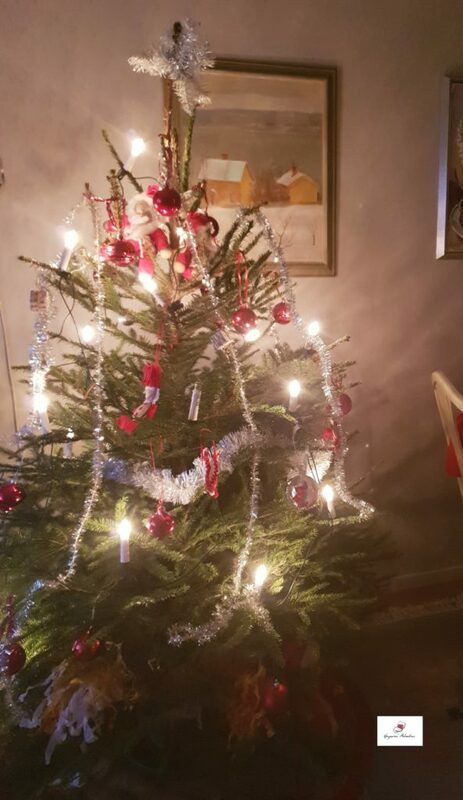 During Christmas, I went back to Sweden to as usual celebrate the holidays with my friends and family. I brought back a bottle of Primitivo wine to share with them. Namely, Terragnolo Salento Rosso IGT 2012 from Apollonio winery. I opened this bottle at our Christmas Eve dinner. We had gathered at Anita’s place, a friend of my mother to have a traditional Swedish Christmas dinner. It started with different kinds of pickled herring, salmon to continue with Christmas ham, meatballs and other meat dishes. The dessert was the usual ris à l’amande that is a sort of rice pudding mixed with whipped cream and almond pieces. Now, the Christmas dinner might not have been in a place with an amazing view or landscape but it was still in a fabulous place at home in Sweden. 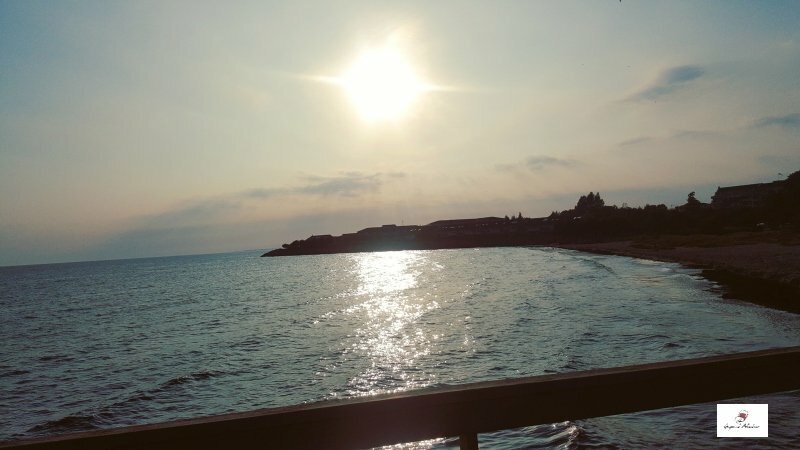 Then, I correct myself because from my hometown and from Anita’s balcony you have a fantastic view of the seaside and port in Ystad, our little town. As I thought, everyone really liked the Primitivo wine. I think that it is a perfect grape variety and wine for the wine consumers in Sweden because it is fruity and a bit sweet, full-bodied, smooth, and has a certain alcohol percentage. 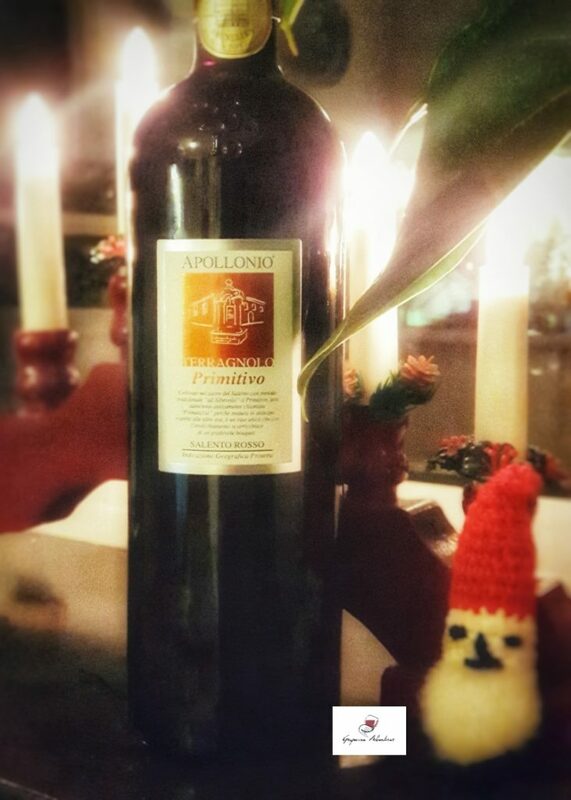 The Primitivo wine from Apollonio winery was the icing on the cake at an already Christmassy and nice evening in good company. 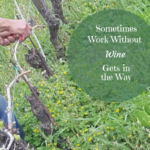 It resulted in everyone wanting to learn more about Puglia and the wine producer, so I ended up showing photos from my visits there last summer. A connection between north and south, so to say. Last year, was a just wonderful wine year for me. I had so many awesome wine experiences and met so many people who then step by step has become my friends. 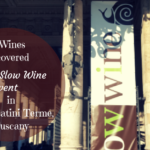 Even though, I have only chosen a few of my wine tasting experiences during the last year here I hope they somehow helped to awaken your interest in Italian wine. That is, if you are not already a fan of Italian wine. Let us now look forward to a marvellous 2019!